One of my colleagues at USC pointed out in my recent post on environmental resources at USC that I neglected to mention the significant work going on at Keck. Our colleagues in the Department of Preventive Medicine at Keck are looking at environmental issues from the health side, with their landmark study of the health effects of air pollution on children called the USC Children’s Health Study. Andrea Hricko directs communty outreach efforts on environmental health, including a community-academic collaborative focused on reducing the health impacts from ports and goods movement facilities called THE Impact Project (Trade, Health and Environment) Impact Project. These research projects have been key environmental justice studies for the region. Have I made the case for USC yet? CNNMoney.com released their list of the 50 most powerful women, and once again, I failed to make the list, just like I didn’t win any Nobel prizes this year. Sigh. You learn to live with these things. Towards that end, the Faculty Women’s Interest Group of the American Collegiate Schools of Planning annually prepares a resume book to post on the ACSP website a compilation of the two-page abbreviated resumes of women seeking tenure-earning teaching positions in planning and related programs in North America. Many Chairs and faculty search committees have found previous editions to be valuable in their faculty searches. This is call for resumes from those with an earned PhD in Planning or in a related field who are just starting their teaching careers. The deadline for receipt of the two-page c.v.’s is October 16th, 2009. If you have any questions, please ask me or Sandi Rosenbloom (rosenblo@u.arizona.edu). *Given that many of these CEOs are about my age or younger, I may just spend the rest of the day in bed. With some ice cream. 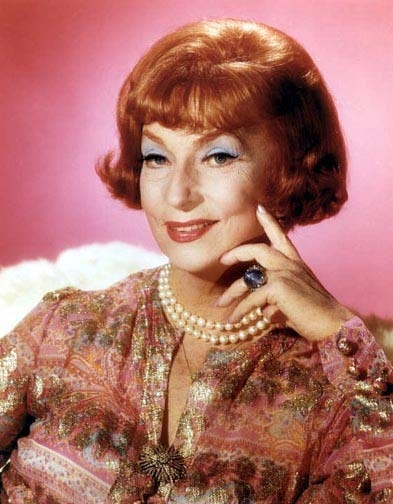 Maybe I’ll just reflect on one of my favorite childhood role models, Endora, who never took any crap off of anybody. At least not without turning them into something vile.